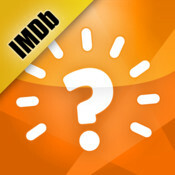 Kick A Rock: IMDB Trivia App—awesome! Okay, if you're like me you watch a ton of movies. You're also like me if you have an iPhone. And, you're even more like me if you have an iPhone but don't play many games because, quite frankly, you're not into Angry Birds. 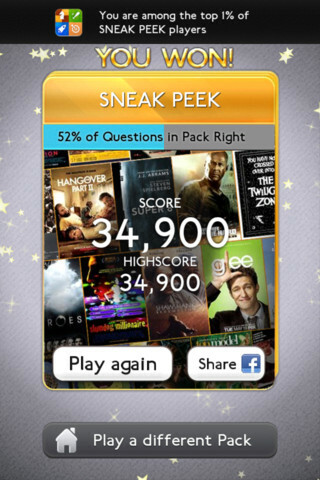 However, if you like games that require a little more use of that gray matter locked away in your noggin, then you're gonna love the new IMBD Trivia App. Once you download this app and start answering questions, you'll be hooked on that touchscreen like Carol Anne in Poltergeist. The game is rather simple, really. Upon initial startup you only have one choice of questions to begin with, which is referred to as "Sneek Peek". But, as you score more points you unlock more trivia packs allowing you to test your knowledge of movies and TV shows. You do have the choice to buy more packs, but I'm too cheap for that. Which is why I really love the fact that this game is free. Nonetheless, it's rare for me to get all geeked out about something so "trivial," but if you're looking for something to help you murder time while waiting for the bus, avoiding homework, or just not doing your job, you gotta download this app. Unless you have an Android phone… but I'm sure you guys will get it soon.